A classic silhouette that is both timeless and exceptional. Conflict free diamond baguettes wrapped in 18K Pink Gold. Approximately 0.30tcw. 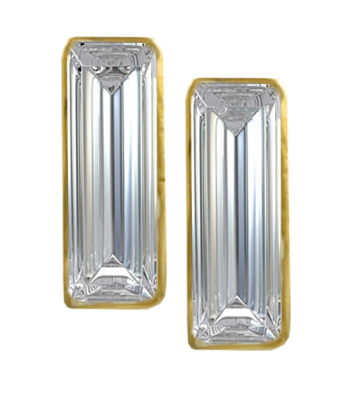 Tags: #diamondbaguetteearrings, #diamondbaguettes, #diamonds #diamond, #Pink Collection, #pinkgolddiamondearrings, #pinkgoldearrings, #rosegolddiamondearrings, #rosegoldearrings, #diamondearrings.